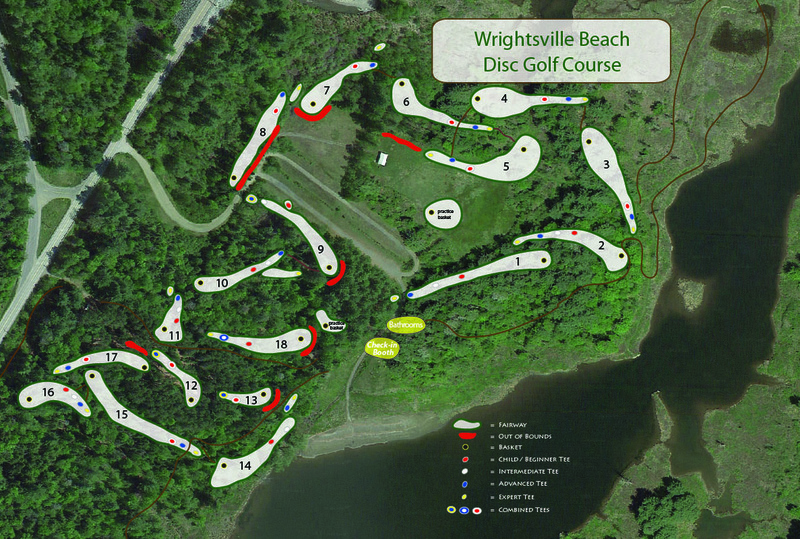 Come play disc golf on our beautiful 18 hole course. With 4 sets of tees on every fairway this course is great fun for all abilities. Everyone must check-in at the Beach Booth prior to playing. New to the game? 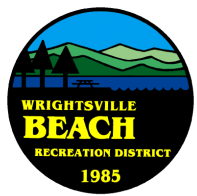 Try an introduction class, details are on the "Recreation Programs" page. rent or purchase at the beach booth, Season Pass holders get 10% off. IF YOU BROUGHT IT, TAKE IT WITH YOU!!!! (Memorial Day weekend - Labor Day). Dogs are allowed after Labor Day and before Memorial Day, there is a $1.00 day use fee for all dogs, or you can add them to your season pass for $10.00. the correct term is Disc Golf, but it's great fun by any name.